The fearless Gambian human rights activist won New African Woman magazine’s Woman of the Year Award at the their Award ceremony that took place in Dakar last night. Fatoumatta Jallow-Tambajan was instrumental in galvanising the opposition that eventually beat long-term now exiled leader Yahya Jammeh. 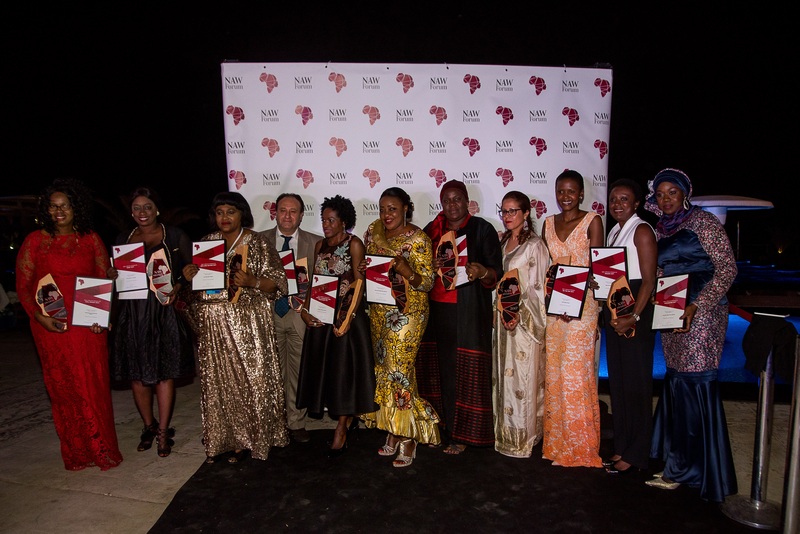 Held at a glitzy Gala Dinner at the Terrou-Bi hotel in the Senegalese capital Dakar on 12 April and the Awards, now in their second edition, recognise, celebrate and honour African women who have made exceptional impact and change in their countries or communities in the past 12 months. Nigeria’s Amina J. Mohammed – the new United Nations Deputy Secretary – took home the New African Woman in Politics and Public Office. Prior to her new post, she served as Minister of Environment. But she has played key roles in both the current Sustainable Development Goals (SDGs) and the Millennium Development Goals (MDGs), on how both agendas impact Africa – more so its women. Winners have been selected by a special panel of judges from 68 shortlisted candidates across 12 categories. The Award for Women in Health, Science and Technology went to Namibia’s Dr Helena Ndume – a pioneering ophthalmologist and cataract surgeon, who has to date, performed over 35,000 sight-restoring surgeries on Namibians, completely free of charge. Morocco saw serial entrepreneur Salwa Idrissi Akhannouch, take home the New African woman Award in Business. Zimbabwean philathropists and educationist Tsitsi Masiyiwa, received the New African Woman Award in Education for her work with Higherlife Foundation – a not for profit organisation she runs and offers scholarships to orphaned and vulnerable children to give them a better chance in education. Over 250,000 children have benefited from the work of Higherlife Foundation. The much-talked about New African Woman on the Rise (The Next Generation) – a category which received the most nominations – went to the Kenyan girls rights activist and UN Women youth advisor Vivian Onano. The New African Woman in Civil Society was given to Chief Theresa Kachindamoto, who annulled over 300 child marriages in her village in Malawi, a feat that played an important role in forcing the government to ban child marriages in the country all together. Other winners were Nigeria’s Joan Okorodudu (New African Woman In The Arts & Culture) for her services to raising the profile of African models and fashion; Mali’s Binta Touré Ndoye (New African Woman – in Finance); Amira Yahyaoui of Tunisia (New African Woman in Media) and the former African Union Commissioner Agriculture and Rural Development Tumusiime Rhoda Peace from Uganda, is the New African Woman in Agriculture for pushing the importance of food security and adding value chain to African goods while she was at the AU. The New African Woman in Sport went to the Senegal’s Fatma Samoura – the world football body’s Secretary General – a position she was appointed to in 2016, becoming the first African woman to hold the post.